Even though the traditional summer months are coming to a close, North Carolina’s temperate climate can still produce summer-like temperatures well into September. With that said, having a great looking lawn can increase the value of almost any home. Even basic maintenance can improve the looks of an average house. The following are some summer lawn maintenance tips to keep the yard looking good. Lawns can suffer from too much water as well as from not enough. 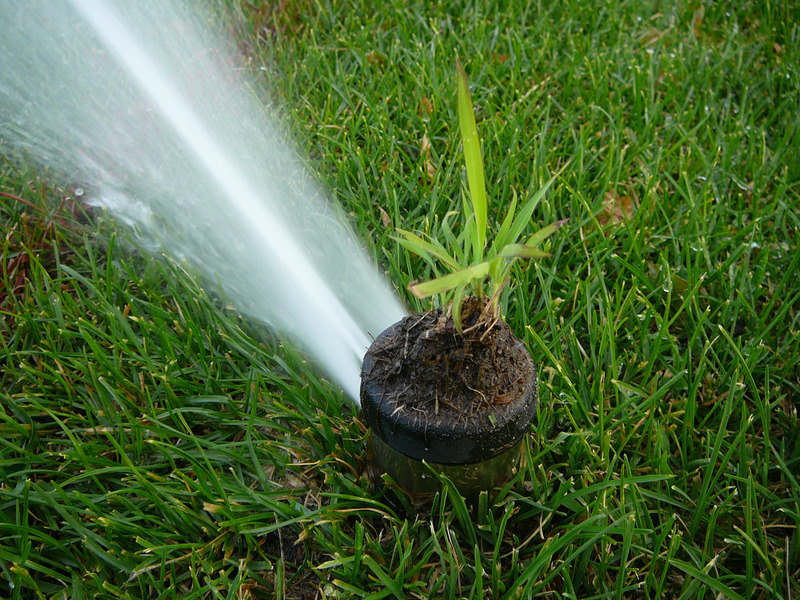 Most types of grass need about an inch of water per week to stay healthy and green. Watering in the morning in usually recommended. A basic rain gauge can be purchased to determine how much it has rained each week. How short to cut the grass depends on the type and the climate. Most types of grass should be cut at between 2 and 3 inches to thrive. This includes St. Augustine, Centipede, and Bluegrass. Bermuda grass can be cut a bit shorter. Grass should be mowed in the evening or in the morning after the dew has dried. How often grass needs cut is dependent upon the amount of rainfall, humidity, temperature, and direct sun exposure. That means a homeowner should mow the lawn when it needs it and not stick to a strict schedule. Most fertilization should occur in the spring and the fall for warm season grass such as Bermuda and St. Augustine. After the winter months a lawn will need extra nutrients, particularly nitrogen, to improve the look and health of the grass. The first round of fertilization in the spring should usually happen sometime in April. Lawns should then be fertilized about every seven to eight weeks during the prime growth season. Fertilization in the fall is done so the soil and the grass can absorb and store nutrients through the winter months. The most important time to fertilize cool season grass such as Bluegrass is in the fall. The best way to deal with weeds is to prevent them from growing in the first place. Good preparation of the soil before planting the grass and proper irrigation in the lawn afterward will go a long way in preventing weeds. Over or under watering is another problem that may invite weeds. Once weeds have gotten a foothold applying herbicides and weed killer may be the only way to keep unwanted weeds out of the lawn. Keeping the lawn pest-free is critical. A few bugs can potentially lay thousands of eggs and destroy grass, plants, and flowers within a matter of weeks. A sign of a possible pest problem includes discolored or thinning areas of grass. Sometimes picking up over the counter products from a lawn and garden store will solve the problem. If things don’t start to improve within a short time it may be time to call a lawn care service.